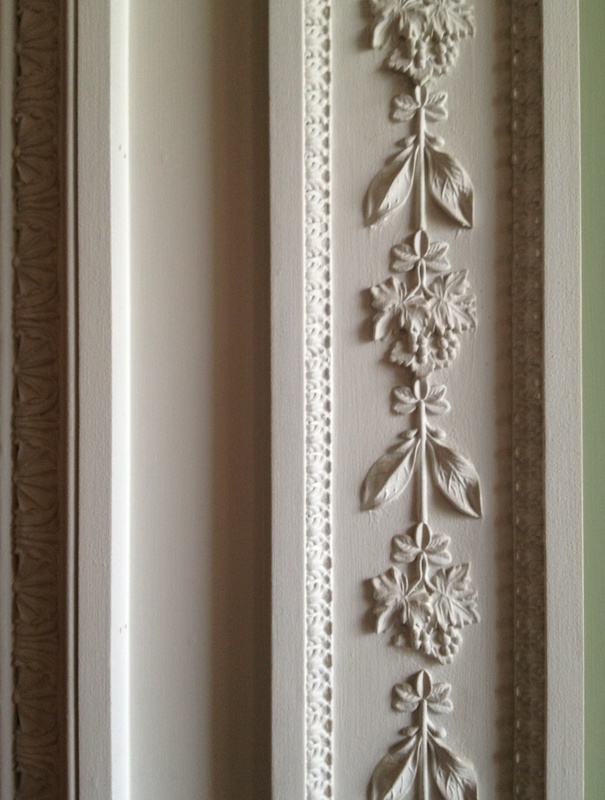 One of the two niches on either side of a door in the oval saloon at Castle Coole, County Fermanagh. 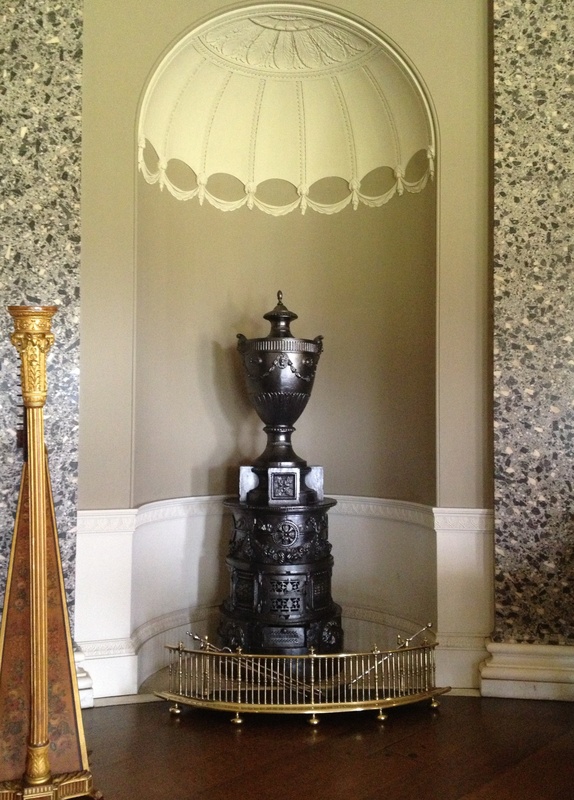 Designed 1789-96 by James Wyatt for the first Earl of Belmore the building’s heating system has been discussed here before (see It’s All in the Detail, August 10th 2013). 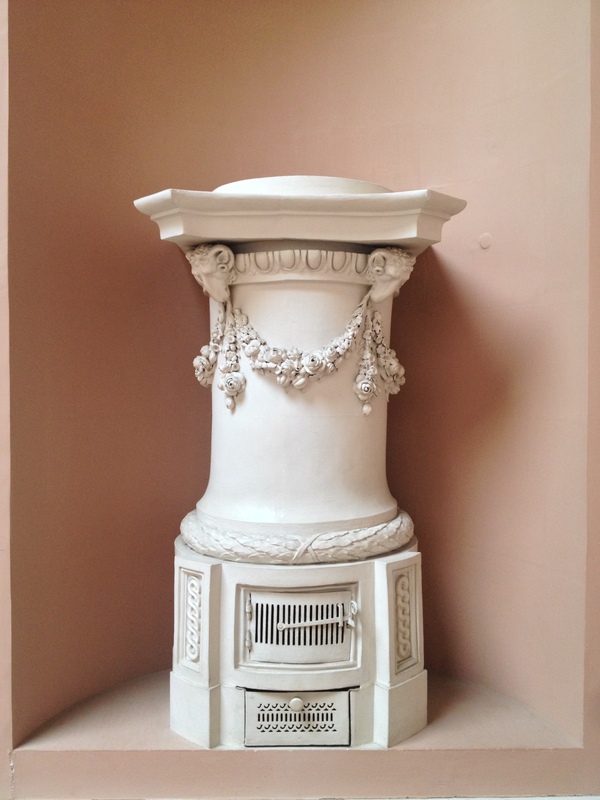 This is one of a pair of cast-iron stoves topped with urns made to a design by Wyatt in order to provide warmth for the room which, owing to its shape and the disposition of doors and windows, does not have a fireplace. 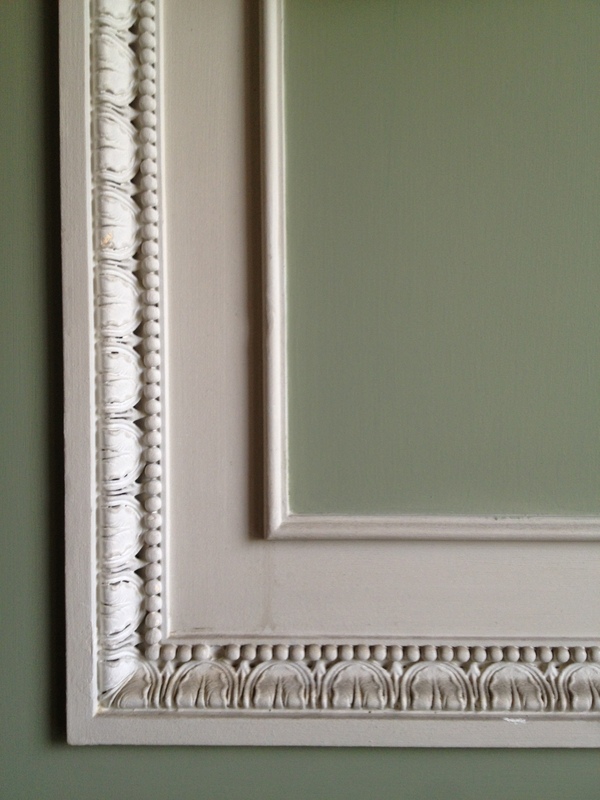 It is flanked by two of the dozen scagliola pilasters by the Italian craftsman Domenico Bartoli with plaster decoration inside the upper section of the recess being made by on-site by workmen sent over from England.